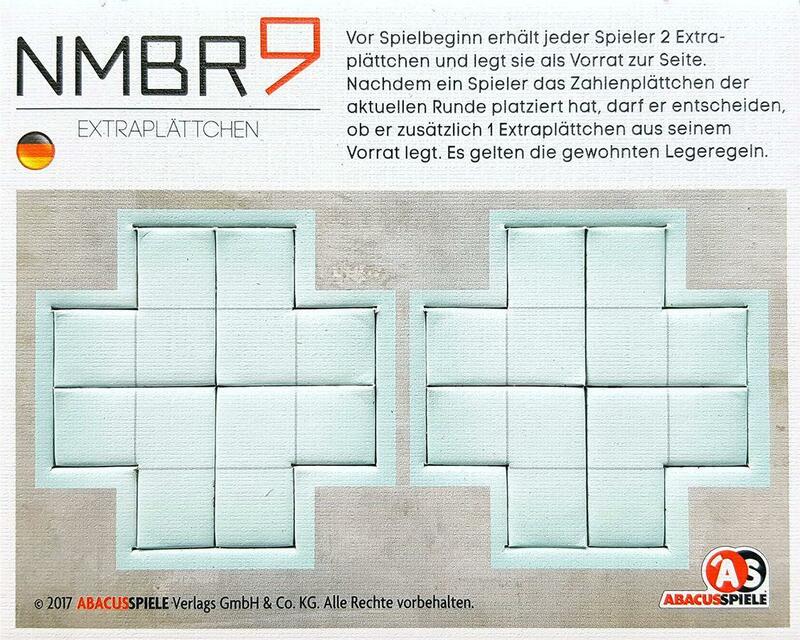 NMBR 9: Extra Tiles is a mini-expansion for NMBR 9 that debuted at the SPIEL '17 game convention in Germany. During set-up, each player receives two extra tiles and places them aside as a personal supply. After placing the number tile for the current round, a player may decide to additionally place one extra tile from their supply. The usual placement rules apply.